Is there anything more necessary than a generous scoop of mashed potatoes on Thanksgiving? A slice of hot buttered cornbread is nice, too. 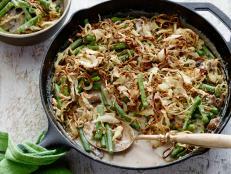 Some would even say it's the green bean casserole that really makes the meal special. 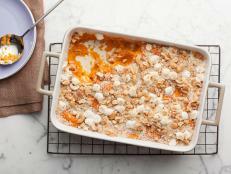 Personal preferences aside, we can all agree that the sides are the best part of Thanksgiving — next to the smorgasbord of pie, of course. And since we only get to enjoy this celebratory feast one day each year, why not dig in to the indulgent dishes that are so representative of the holiday? 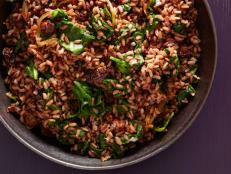 Then again, if you plan on having a lot of leftovers, you could be enjoying these dishes for a few days (or an entire week) after Thanksgiving has passed. That's incentive to throw some healthier options into the mix. 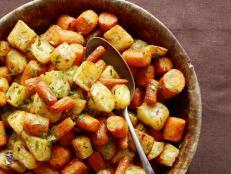 Here are the classic, comforting sides we all long for, with a few minor alterations to make each one less of a splurge. 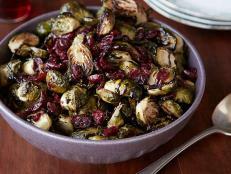 As it turns out, your healthiest Thanksgiving could be your most-traditional yet. Who knew? 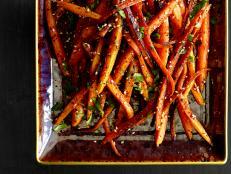 Although it's a beloved Thanksgiving staple, nutritionists can't exactly endorse it — until now. 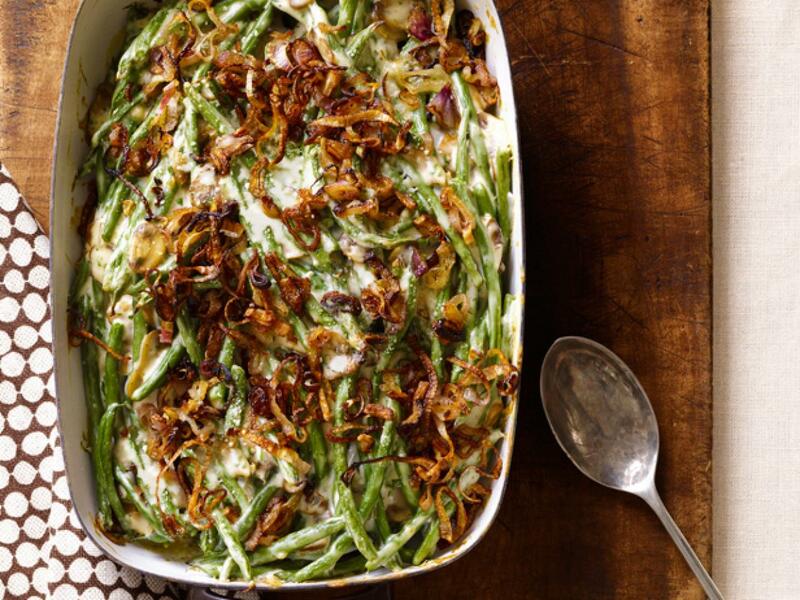 For her modified Green Bean Casserole with Crispy Shallots (pictured at top), Ellie Krieger skips the condensed cream of mushroom soup and makes a creamy sauce using low-fat milk instead. 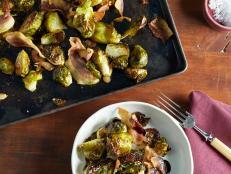 The result is a familiar and comforting side dish with just 186 calories per serving. 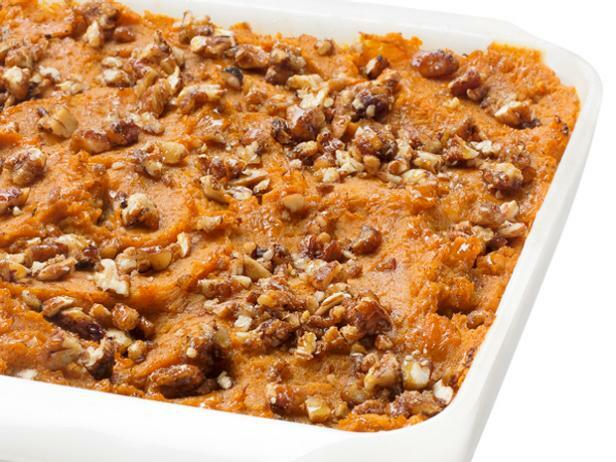 This Sweet Potato-Pecan Casserole is everything you want from a Thanksgiving side: It's traditional and satisfying, but it won't leave you stuffed. 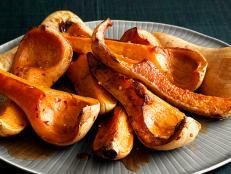 By whipping the sweet potatoes with an egg, you'll make them creamy without the need for butter. Sprinkle the casserole with pecans just before baking for a hearty yet healthy crunch. 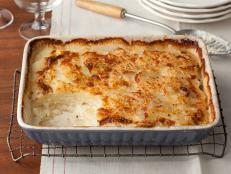 Food Network Kitchen prepares these Vegan Roasted-Garlic Mashed Potatoes using Yukon Golds, the traditional potato of choice for this quintessential Thanksgiving side. 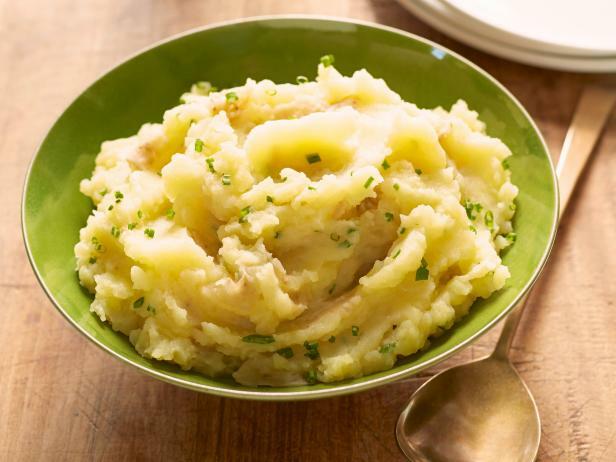 Like other yellow-fleshed potatoes, Yukon Golds are dense, creamy and moderately starchy, which makes them ideal for mashed potatoes — especially this vegan mash, which has no dairy and is low in calories and fat. 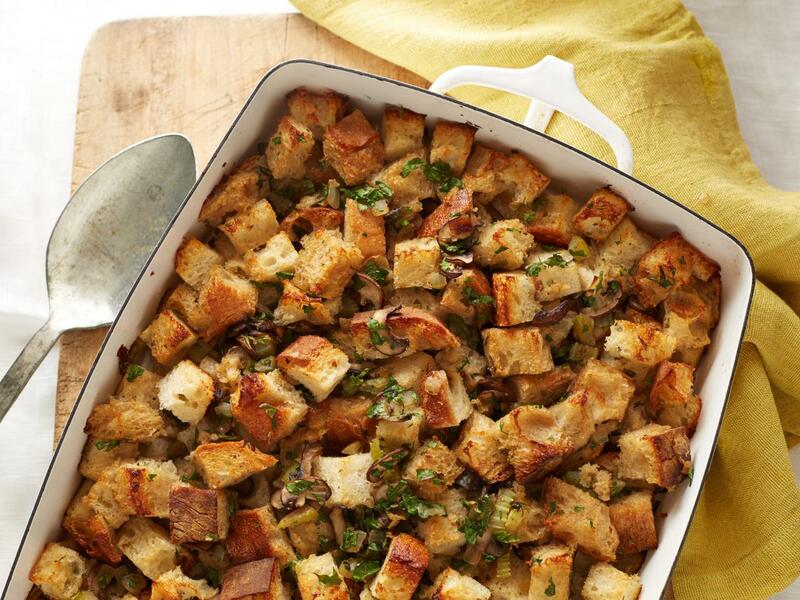 According to a recent survey, stuffing is the must-have side dish at Thanksgiving dinner. And although Food Network Kitchen's Vegan Stuffing is cooked outside of the bird, it still satisfies the need for something savory and breadlike. 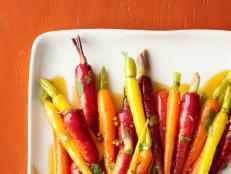 All the usual suspects are here (minus the butter and eggs) to recreate the comforting flavors of a traditional recipe. When you're expecting mac and cheese, you don't want a modest bowl of noodles thinly coated in low-fat cheese. You want to see a bubbling vat of the cheesiest macaroni imaginable. 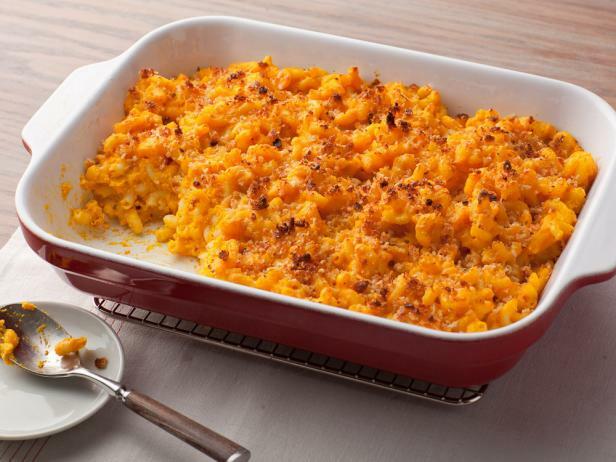 Ellie's Macaroni and Four Cheeses goes well beyond expectations with the combination of Cheddar, Monterey Jack, Parmesan and ricotta. 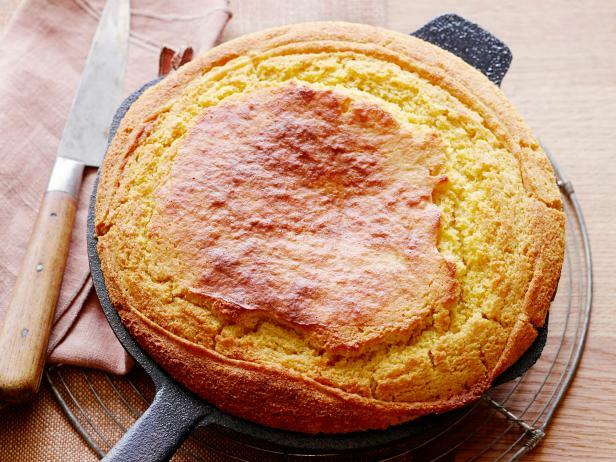 She brings it back into health-conscious territory by incorporating pureed squash (for fiber) and low-fat milk in place of heavy cream. It's tough putting a healthy spin on a dish that consists of fruit and white sugar, but this Homemade Cranberry Sauce might be the closest you'll get (while still maintaining the taste and appearance of the classic dish). One batch serves six, yet there's just 2/3 cup of sugar in total, resulting in a pleasantly sweet-tart sauce for your turkey and mashed potatoes. A splash of sugar-free orange juice — or better yet, freshly-squeezed — does wonders for the flavor.